I am fund raising for my 35 year old wife Sharada Patel who has blood cancer (AML). Please come and contribute to save her life. Every little support counts. I am Ishwar Patel husband of Sharada Patel belonging to a middle class family. My father is a farmer. My brother and I had a small timber shop in Bangalore. 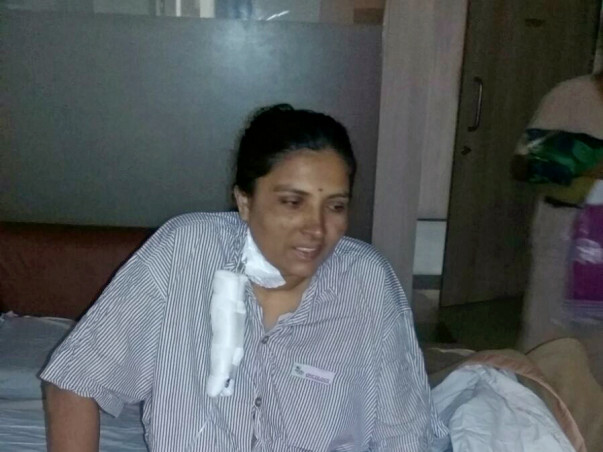 Sharada suffered from a severe headache in April 2014. Being in Bhuj then we took her to Vibal hospital and Dr. Nishant Pujara asked us to go to Ahmedabad for further treatment. As per his guidance we shifted to Apollo Ahmedabad. 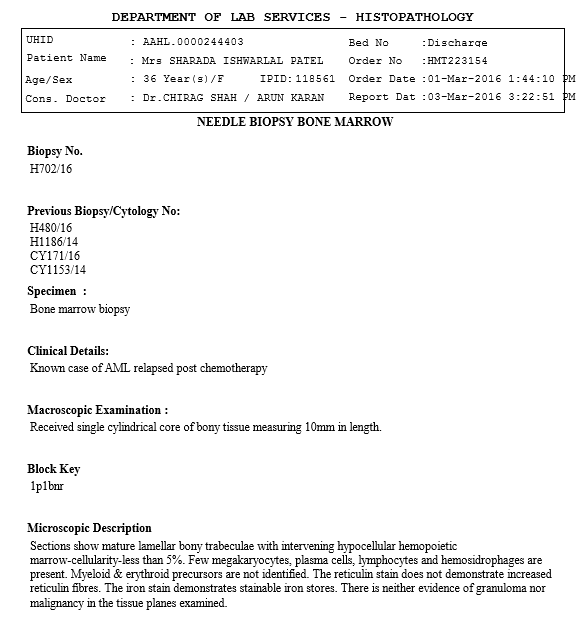 The CBC report on 14 April 2014- HB:7.8, WBC- 900 PLATELET- 58000. 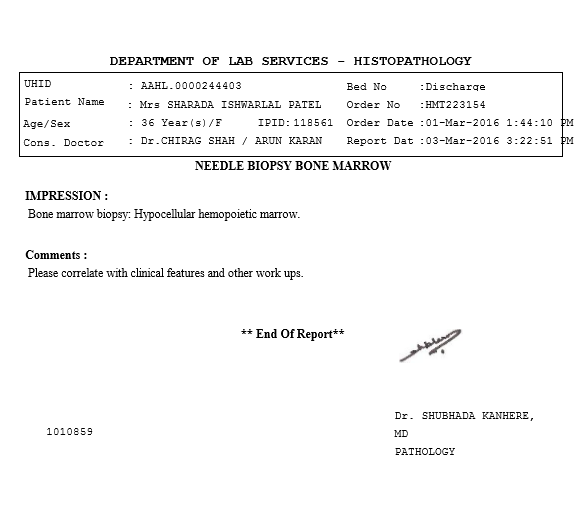 In April 2014 she underwent a Bone Marrow Examination which was showed features of Acute Myloid Leukemia, a type of blood cancer. 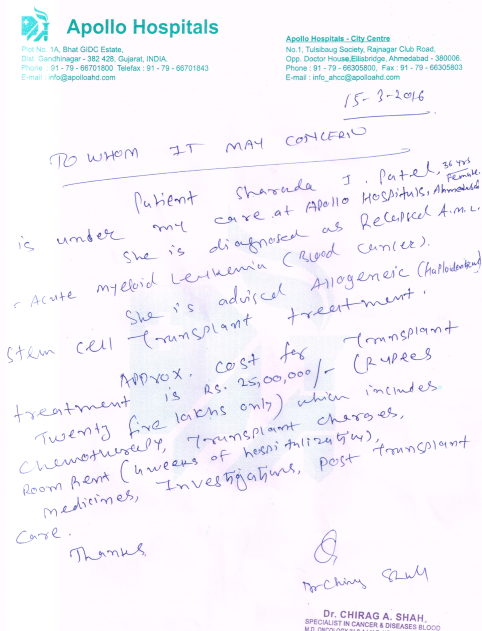 Under Dr. Chirag Shah's guidance we started chemotherapy and it took 4 months to complete at the cost of 1800000 lac. We thought that we were finally out of that difficult part of life but after one and half year Sharada suffered from headache again. 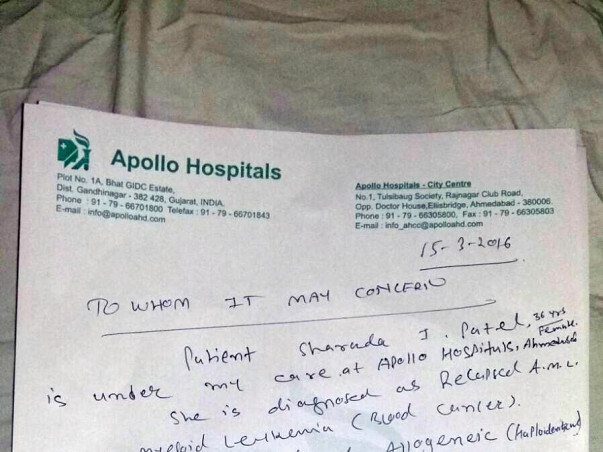 We contacted Apollo hospital and found from Dr Chirag Shah that she suffering from blood cancer again. This time he suggested chemotherapy and a Bone Marrow Transplant. The cost of this is very high we need around 35 to 40 lacs. We already sold our timber shop because of huge burden of the last treatment and now once again we have to arrange money. Please help save my wife and help her live long to see our 3 children Drasti, Srusti, and Jeet get married.